Federico Macheda's late penalty condemned England's U21s to a 1-0 defeat against their Italian counterparts. Federico Macheda's late penalty condemned England's U21s to a 1-0 defeat against their Italian counterparts in Empoli on Tuesday. Ben Mee's rash challenge on Niccolo Giannetti with two minutes remaining presented the Manchester United striker, who is currently on loan at Sampdoria, an opportunity to settle the tie. He kept his composure to crash home from the spot, inflicting an untimely blow on England's preparations for this summer's European Championship. Manager Stuart Pearce, who saw his squad severely weakened by withdrawals, handed a debut to Middlesbrough defender Joe Bennett while 17-year-old Chelsea midfielder Josh McEachran made his first start. Everton striker James Vaughan, meanwhile, made his first appearance for nearly 18 months after impressing on loan for Crystal Palace. 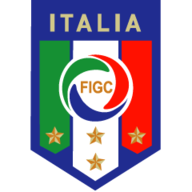 Italy, who failed to qualify for the European Championships, fielded a team made up largely of teenagers. 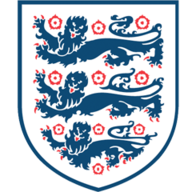 A quiet start to the match took a worrying turn for England and particularly Everton after little over 10 minutes when Jack Rodwell appeared to suffer a groin problem and was replaced by Jack Cork. The only clear-cut chance of the first half fell to Ciro Ferrara's Italy as Gianvito Misuraca found space behind the England defence but Frank Fielding got down well to push his shot around the post. The visitors managed only brief glimpses of goal, with Vaughan, Marc Albrighton and Henri Lansbury all shooting off target. The start of the second half saw both Albrighton and Vaughan misplace passes with England in promising positions while Macheda shot into the side-netting. With an hour gone, Pearce, who celebrated his fourth anniversary as manager on Sunday, made a triple substitution, giving debuts to Jonny Howson, Jay Rodriguez and Alex Oxlade-Chamberlain in place of Vaughan, Lansbury and Nathan Delfouneso. Highly-rated Southampton youngster Oxlade-Chamberlain made an immediate impact with a run and fizzing cross along the six-yard line but none of his team-mates could get on the end of it. Scott Sinclair came on for Albrighton with quarter of an hour remaining, and the Swansea winger should have put England ahead with nine minutes left. An excellent through-ball from McEachran found the former Chelsea youngster in acres of space but he shot straight at goalkeeper Carlo Pinsoglio, who then produced another good save from the same player at his near post. Having stepped up the pace, though, England conceded the only goal of the game in the 88th minute. Substitute Giannetti ran in behind Manchester City defender Mee, who clearly brought down the striker and was promptly shown a red card, with Macheda easily beating Fielding from the penalty spot.